I was waiting for my friend outside the MAC store in Phoenix Mills, Lower Parel, Mumbai and spotted the Estee Lauder store just next to it. They had launched some new collection then and I went in to check it out. After going through the range I picked up this blush and a lipstick from their signature collection. 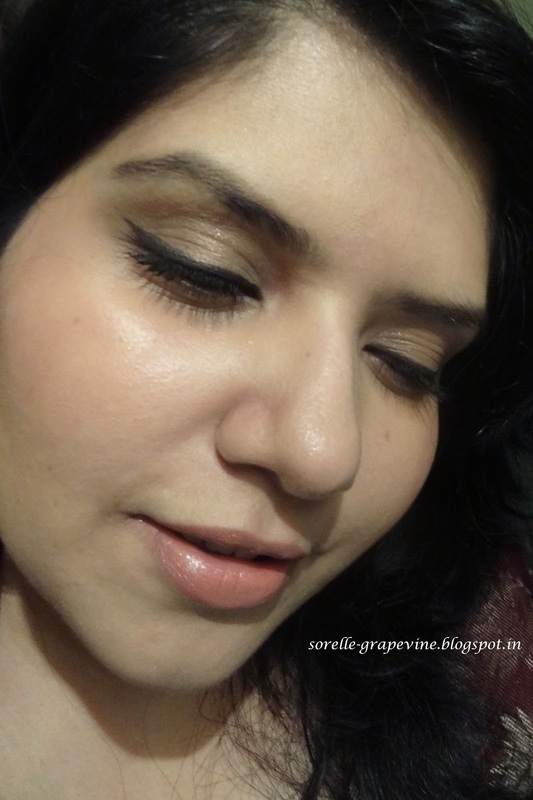 I kept myself far far away from their eyeshadows coz I have loads of them already and they are my weakness…. 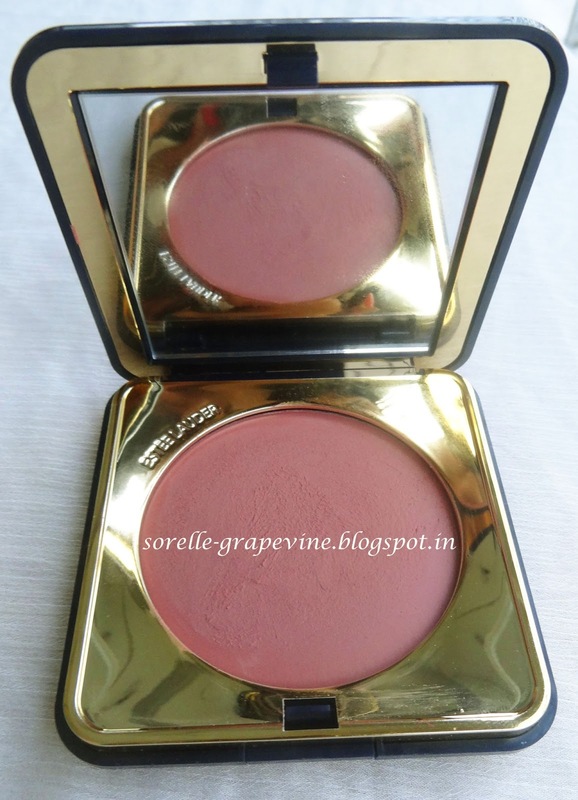 This is my first cream blush and one of my first products from this brand. I love the gold embossed logo on the dark blue base so classy and elegant. 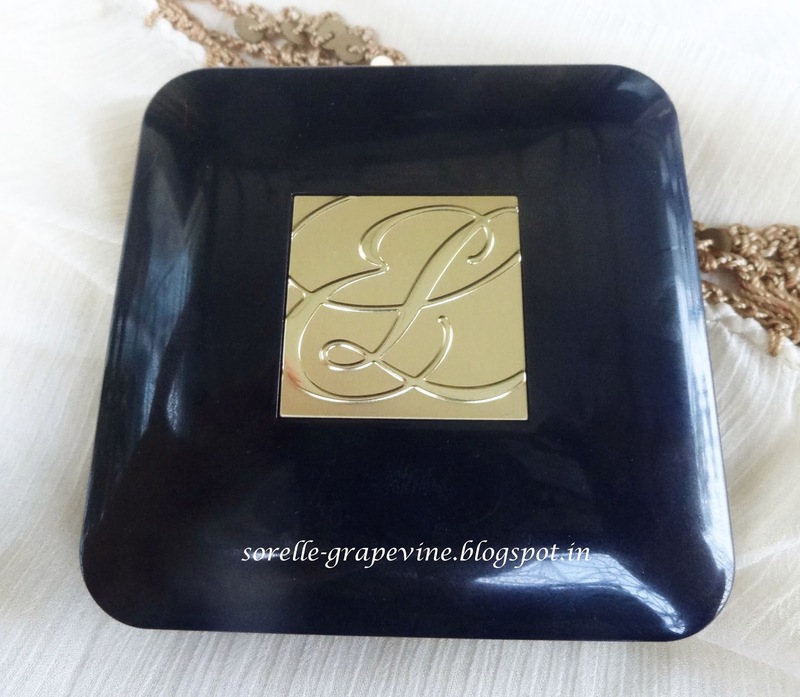 A square shaped compact with rounded edges which has a small button that pops open the lid. No struggling or trying to insert something small in the gap just to do that simple thing unlike some other products/brands. There is this gold metal border around the blush with the 4 corners depressed in which gives it a very diamond like (or geometric if you are so inclined) effect. The compact comes with a good sized mirror which will make touching up the blush very easy (I know it is very lame to state something like this but due to some of my experiences with others I just had to state it). When you first swipe your finger in the the texture feels very smooth but with continuous use the texture becomes slightly grainy. 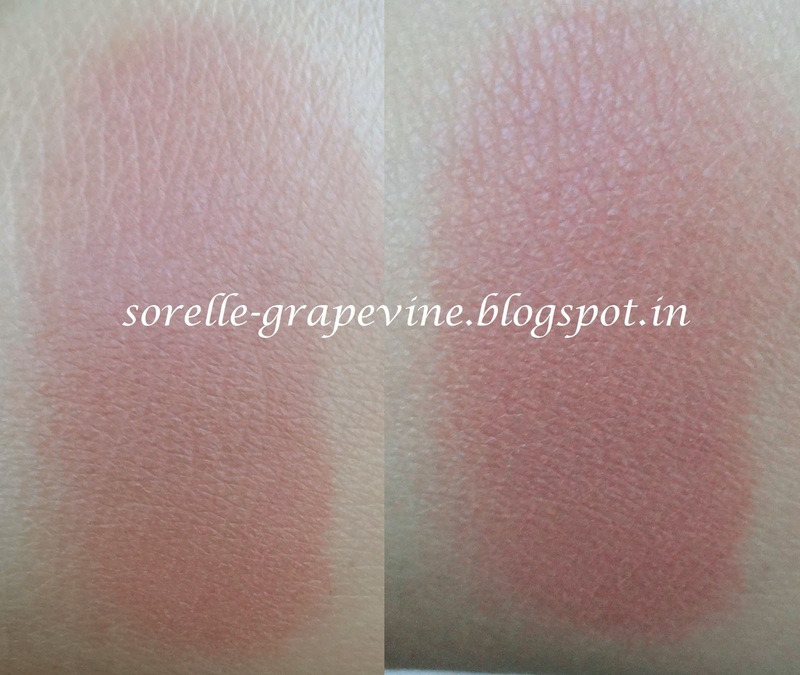 On the skin it quickly transform to powder look and feel. The color looks very dark in the pan but if applied with a light hand it goes on very light and natural looking on the skin. You can easily build it up if you want a more intense look. I patted color on to give it an intensity and then slightly blended it with my fingers. I loved the flush of color on me. The color as I would describe it is a pink toned brown shade. It does not contain any shimmer or glitter. I think this color will work very well on the Indian skin tones. I found that the best way to apply it was your fingers. I have a blush brush from MAC ie 129 and a stippling brush from Inglot ie 27TG and neither gave me a result similar to what I got while using my fingers. The MAC picked up a negligible amount of product and the Inglot one did pick a little more than that but it was still not enough. It was easier to pat on product with my fingers to get a certain amount of intensity and blend it out. I think I will just buff the color out a little with either of these brushes to give a finish. If someone does know the best brush for cream blushes then I’m all ears. 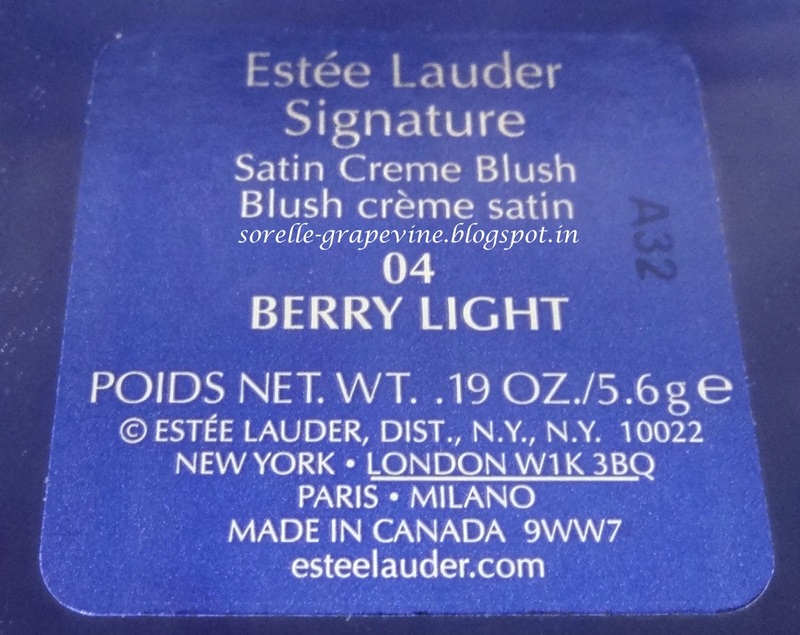 Would you purchase Estee Lauder Signature Satin Cream Blush Berry Light again? – I do love the color and how it looks on me. The price is a little much. So presently Im on the fence about it. 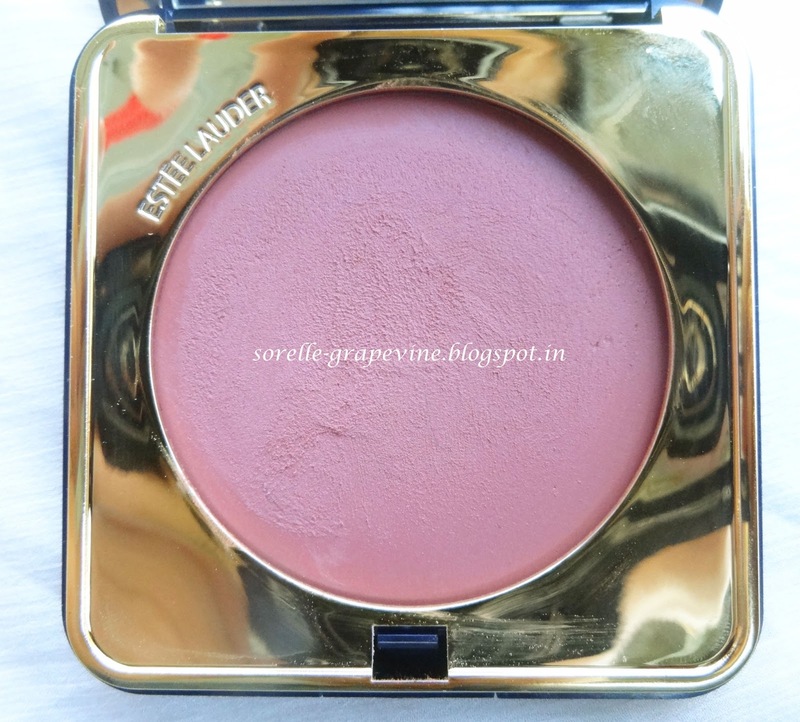 Would you recommend Estee Lauder Signature Satin Cream Blush Berry Light to your friend? – I just might.